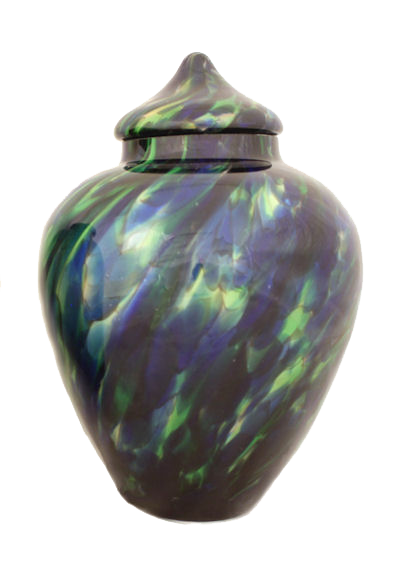 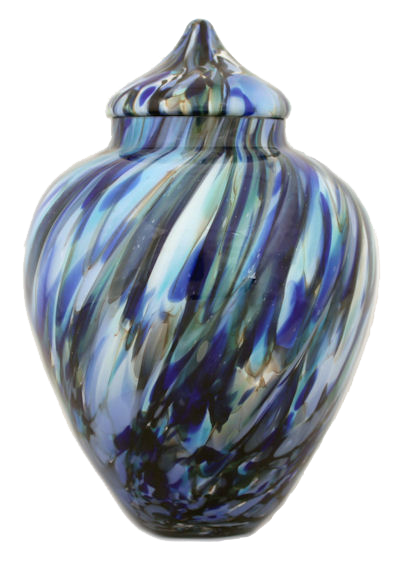 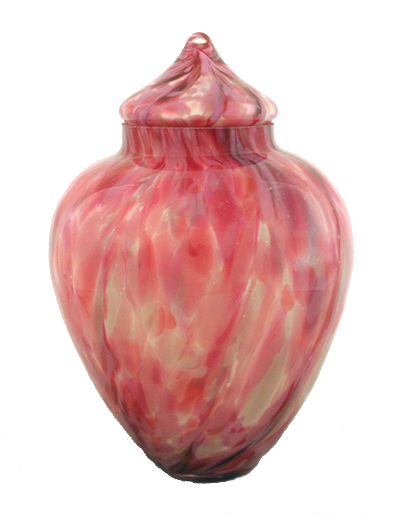 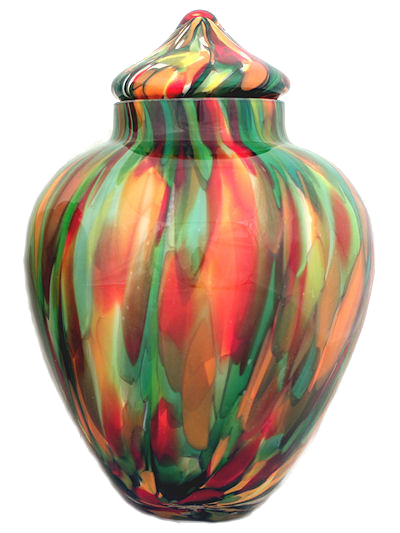 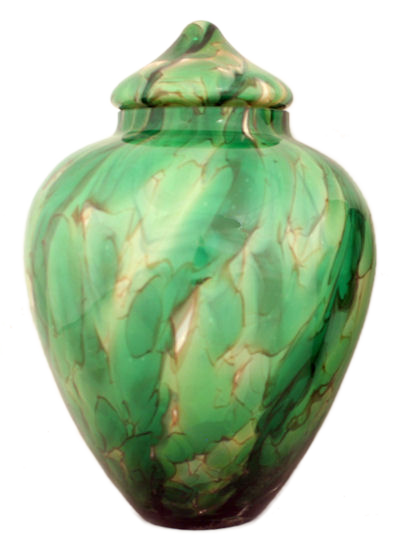 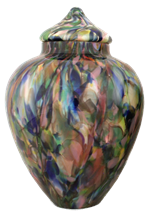 This Renaissance urn is meticulously hand crafted in hand blown crystal making each a one of a kind masterpiece. Comes in your choice of 6 colors: Spring Pastels, Eclipse, Emerald Splendor, Fall Mix, Ocean Blue and Rosaline Splendor. 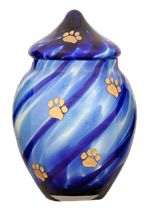 You may also chose to embellish your urn with custom paw prints in your choide of Gold, Silver, Black/Dark Gray for an additional charge. Please refer to related product, Livingston urn, located at bottom of description for representation. Lid and body of urn are two seperate blown pieces which may be attached using silicone adhesive (not included).